By several accounts the first meeting of the Bristol Anti-Fluoridation Campaign on Tuesday was a success with some 18 people attending. 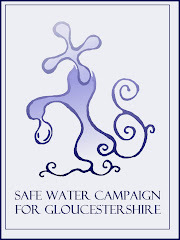 This new group set about considering it's aims and already plans publicity material and stalls - and talking of stalls the Safe Water Campaign was again on the streets in Stroud on aturday collecting signatures and providing info re water fluoridation. Anyhow the first few meetings in Bristol will be fortnightly to get the group up and running so the next will be held upstairs at the Stag and Hounds, Old Market Street, on Tuesday 11th August at 7.30pm.